Hi everyone! This is Lawrence Peters, of The Lawrence Peters Outfit band. 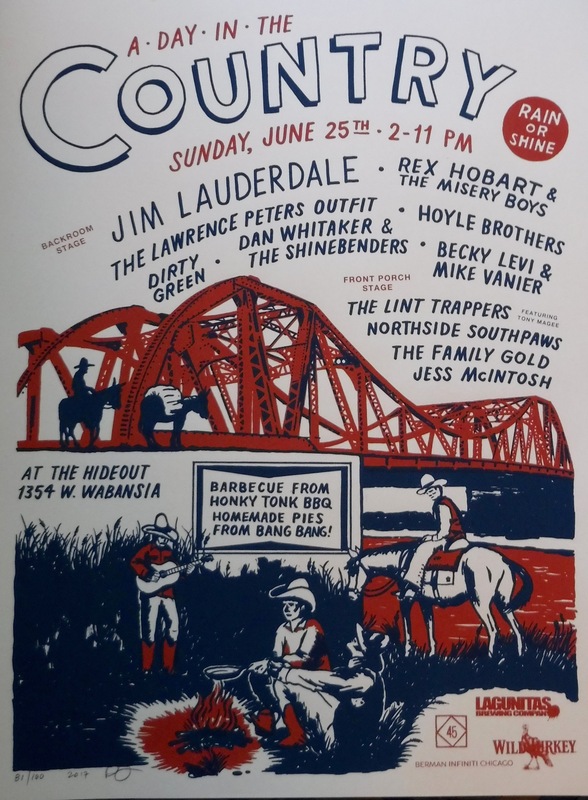 It’s hard to believe that it’s been ten years since the first A Day In The Country at The Hideout, but Sunday, June 25th marks a full decade for my big day of country music, barbecue, pie and drinking’! 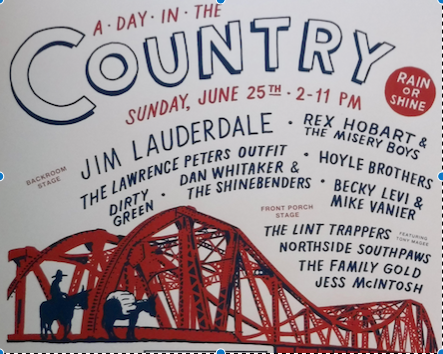 This year’s headliners are Jim Lauderdale, a two-time Grammy Award winner, and Rex Hobart and The Misery Boys playing their first Chicago show since 2007. I had the pleasure of meeting Jim Lauderdale on Jimmy Martin’s tour bus a bit after he recorded the incredible “I Feel Like Singing Today” album with Ralph Stanley and The Clinch Mountain Boys (and [this was] long before the first A Day In The Country). It was staggering to be in the presence of those giants, representing the best of two different eras of country music. 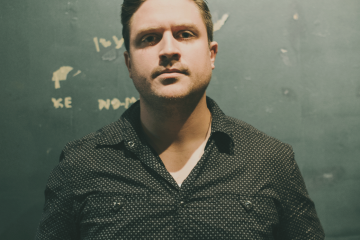 It’s gonna be mind blowing to have Mr. Lauderdale in the primo spot at this year’s festival. 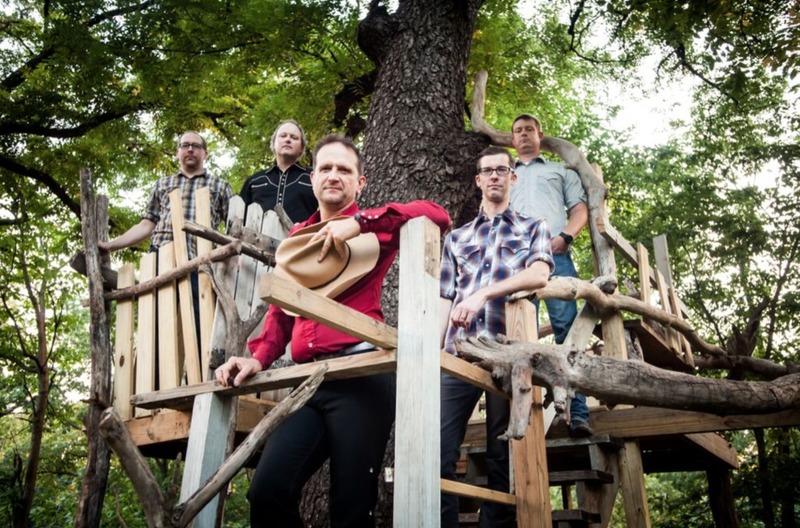 Rex Hobart and The Misery Boys were one of the best (and countriest) of Bloodshot Record’s early roster and a highpoint of late nineties/early aughts country. I got to bring them to the Hideout a couple of times, and got to share a bill with them at least once. I’m stoked that they were up for hiking back to Chicago for this year’s throw-down. The other nine bands on the bill are outstanding locals, covering all of the sounds in Chicago’s country music scene. 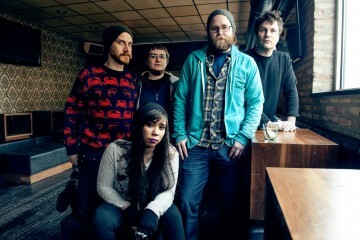 We’ve got honky tonk, bluegrass, string bands, outlaw, Americana, folk…see the full line-up at HideOutChicago.com. Honky Tonk BBQ will be selling their tasty wares and Bang Bang Pie will be covering the sweet side of [things]. Longtime A Day In The Country sponsor, Lagunitas Brewing, will have a couple of beers available, and we’ll have a Wild Turkey special in honor of their support.